It’s December! And I am so excited that Christmas is only a few weeks away! But, I have to admit that I am a little nervous too. I mean, how am I going to get all my Christmas baking in before the big day arrives?? The one thing I crave more than anything during the holidays is peppermint. I seriously can’t get enough of it. I stock my freezer, fridge and pantry with everything peppermint imaginable. There’s peppermint ice cream, peppermint cookies, peppermint cake, peppermint candy…..am I starting to sound like Bubba from Forrest Gump? 😉 Anyway, you get the picture. And, of course, there are peppermint candy canes. 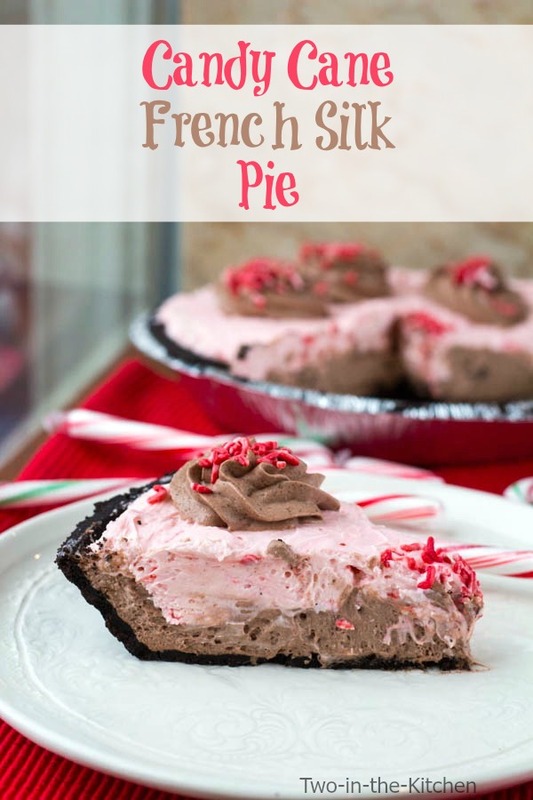 I can’t think of a better way to incorporate candy canes than sticking them in a pie!! I have always loved French Silk Pie from Baker’s Square when I was a kid. It is filled with a creamy delicious chocolate mousse. And their holiday version has a candy cane layer. 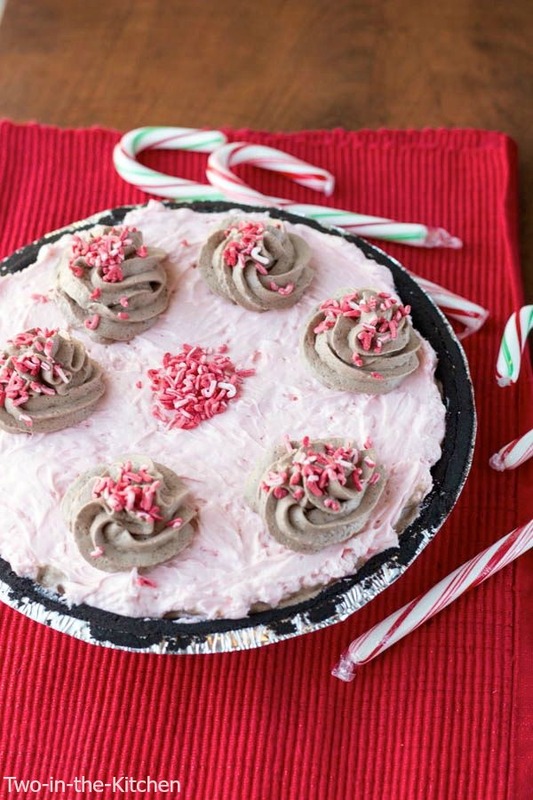 So I decided to make my own version and this Candy Cane French Silk Pie could not be easier to make. No baking or even cooking is involved. And we are going to let our Magic Bullet do all the work of crushing our candy canes for us. I love this little trick here. 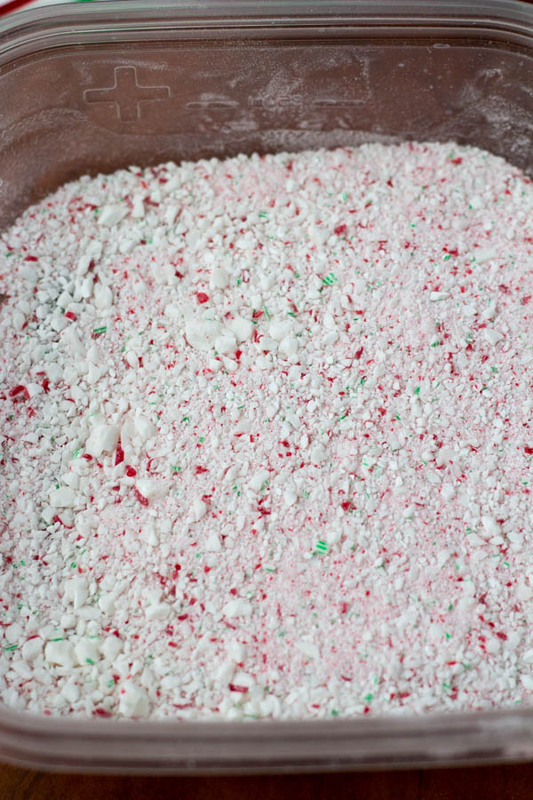 This little trick is great because at the end of the Christmas season, when you still have a ton of candy canes on the tree, you can unwrap them, throw them in your Magic Bullet , grind them up and voila; you have crushed candy cane to sprinkle in your hot chocolate, your mochas, your baked goods….what ever tickles your fancy. This is just a great pie to take to your next holiday gathering. 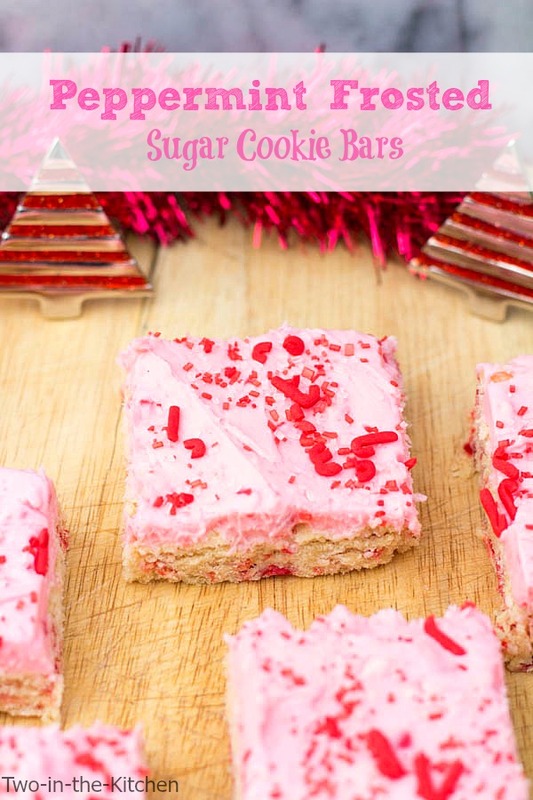 It is easy to make, and the pretty pink color is just so pretty and festive looking. Luckily this recipe makes two pies so you will have one to take to your holiday party and one to have for dessert at your Christmas feast! That’s the great thing about the holiday season right? There are always so many parties to attend. Don’t worry, this recipe has you set for at least two of them! Beat the cream cheese, sugar and milk until smooth and creamy. Make the chocolate mousse by combining the sugar and cocoa powder in a small bowl. Beat the cream at medium speed in a medium bowl with an electric mixer until foamy. Gradually add the sugar and beat until stiff peaks form. Place the gelatin and cold water in a small bowl and let stand for a minute. Pour in the boiling water and stir until the gelatin has dissolved. bottom of each pie crust. 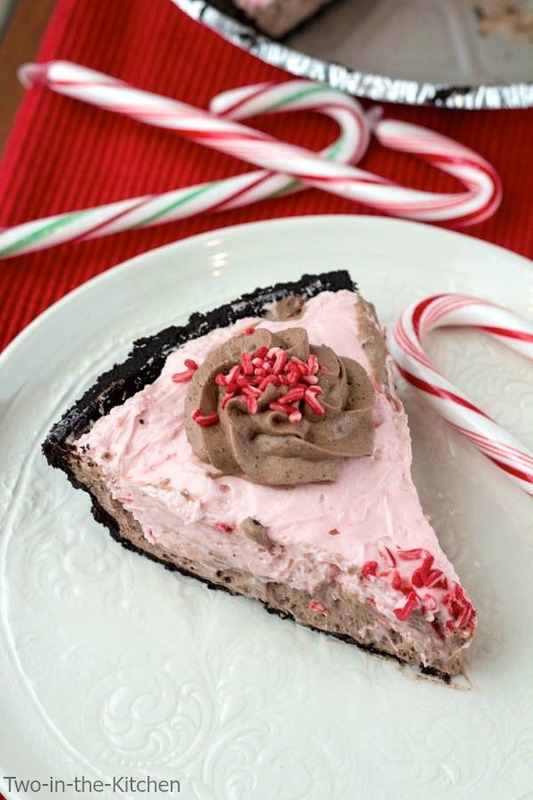 Spread a layer of the candy cane mixture on top of each pie. Garnish the top with piped chocolate mousse and candy cane sprinkles or as desired. Cover and refrigerate for several hours before serving. Cover and refrigerate any remaining pie. 3 words, I’m in love. Goodness gracious this pie looks amazing. Wow, yum! Pie is my big weakness, I love any and all kinds of pie! Oh my goodness, this pie looks amazing!! 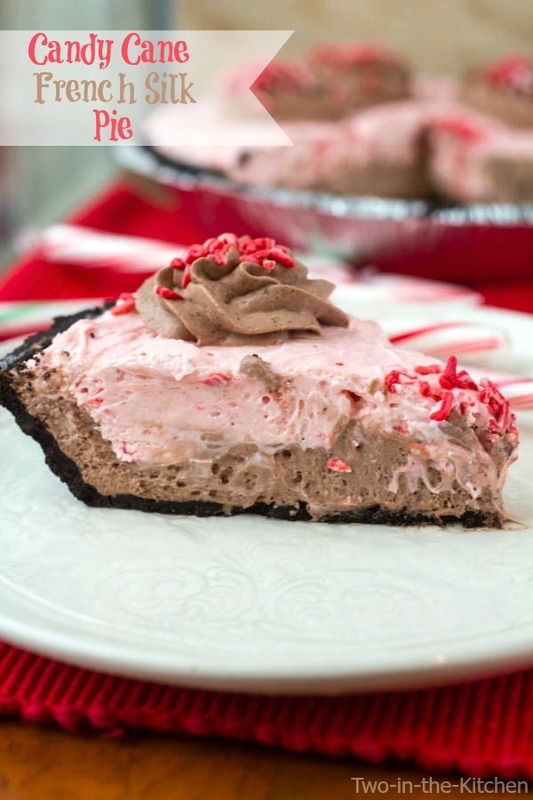 Haha I am a sucker for peppermint and chocolate during this time of year too and would not be able to resist this pie! I love how helpful the Magic Bullet is for crushing the candy canes too! This is seriously the most incredible winter pie ever!! This pie looks so cute and easy to make! Definitely a great holiday dessert! I like the pink color! Pinning! I want some pixie dust! That magic bullet looks like so much fun to use and this pie sure does look delicious! This pie looks sensational Renee! I just love peppermint and chocolate together 🙂 Pinned! That looks so good! I love sprinkling peppermint crumbles on desserts too. I used to always make a couple dozen cupcakes for our Christmas party with crushed candy canes on top. They were beautiful! 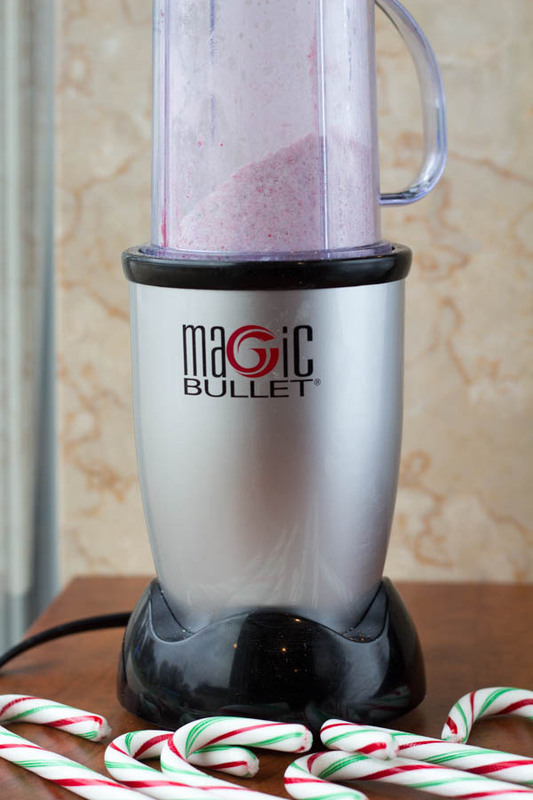 We got a Magic Bullet as a gift years ago and loved it! It is so useful! You are right, it makes a great gift. Oh my word! I LOVE this, so pretty!!! Amanda recently posted…i failed to teach my kids about childhood hunger. did you? This is seriously one gorgeous pie, Renee! 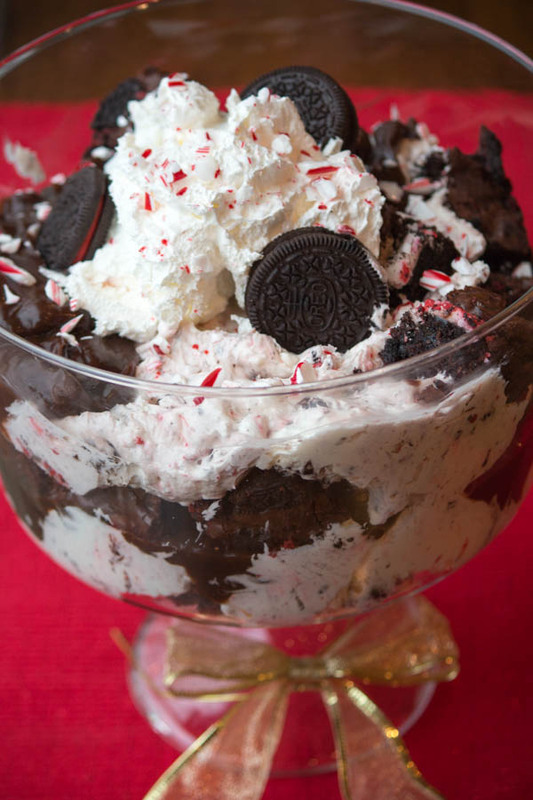 I just love all those pretty crushed candy canes on top! 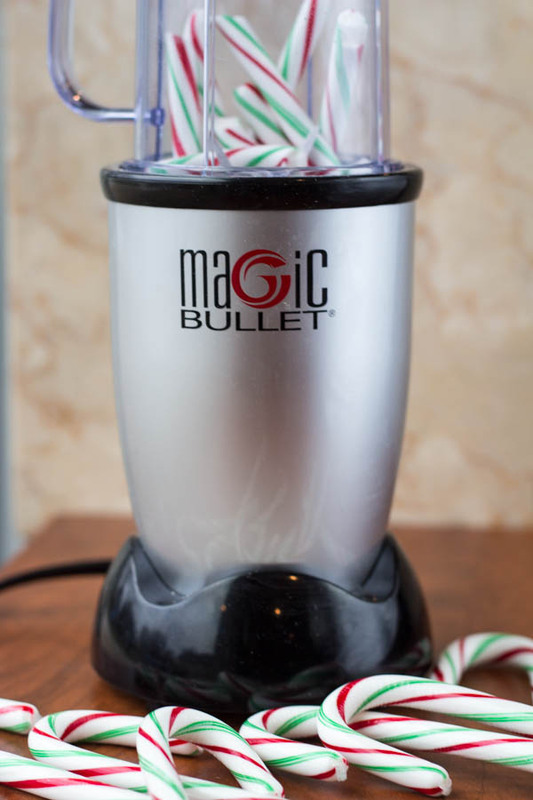 What a great idea to use the Magic Bullet to crush all of those candy canes! I’m sure this pie tastes just as amazing as it looks! The pie looks amazing Renee! I know there’s so much baking to to..it’s like there’s so much to bake and so little time! I bet this would be really good made with coconut milk too. What a great looking pie! Yum! Love this pie, Renee! I love anything with peppermint in it, and french silk sounds like the perfect combination. So perfect for a Christmas dessert! Wowzers Renee is this amazing!!!! Hi it’s me again. I’m making this pie today so if you could answer ASAP that would be great! My question was What would you suggest to give the mousse more sweetness and flavor? Should I use sweetened chocolate powder instead of unsweetened?